If you’ve had your finger on the pulse of all things rejuvenation, then you’ve gotten wind of ThermiVa by now. She has her rocking body back after giving birth to baby daughter North West in June, which was evident for all to see as she donned a white outfit to celebrate her 33rd birthday in Las Vegas Friday night. But even though she was literally spilling out of her top, her ample chest wasn’t enough to distract us from her face — especially the line running from her mouth to her nose. So what exactly has Kimmy gone and done to herself? Just in time for the holidays, a new facial filler has been approved by the FDA that promises superior results for the same cost as existing filler Radiesse, and less money (and more predictable results) than Sculptra, a very expensive facial filler that takes a few months to see if it “takes” with the person’s skin. A brand new type of injectable called Voluma was tested extensively by Dr. Alexander Rivkin, one of the top Cosmetic Surgeons in Los Angeles (www.westsideaesthetics.com) – who was chosen to study Voluma as one of a handful of doctors by the manufacturer, Allergan (makers of Botox). Everyone loves a brilliant new tweak to keep from having plastic surgery. 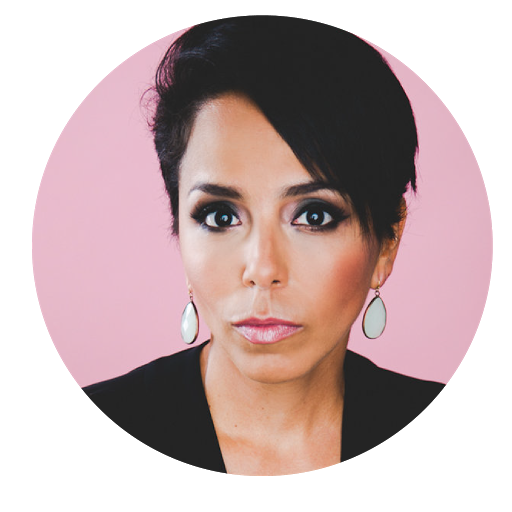 Fillers, the realm of FDA approved brands of injectable materials like Evolence, Juvederm, Belotero, Radiesse, Restylane®, Artefill, Sculptra and the passé Collagen based dermal fills, are what we know about now. A brand new type of injectable called Voluma is about to receive FDA approval, and from what we hear from across the pond, where Voluma is in use, the smoother moleculed dermal filler is going to be a huge hit here. Remember when you were a child and your mother would warn you to not make ugly faces because your face might stay that way? Recent studies published in the National Library Of Medicine and the National Institutes of Health now say that if you have sad, depressed looking faces, that will translate to your emotional state thereby making you psychologically sad and depressed. Heavy bags under the eyes are an issue many women face but there is a treatment that promises to eliminate the problem in just 10 minutes. By injecting filler into the eye bags, cosmetic surgeons say they are able to quickly fix that troublesome area under the eyes, known as a tear trough, with an in-office procedure that does not require anesthesia. 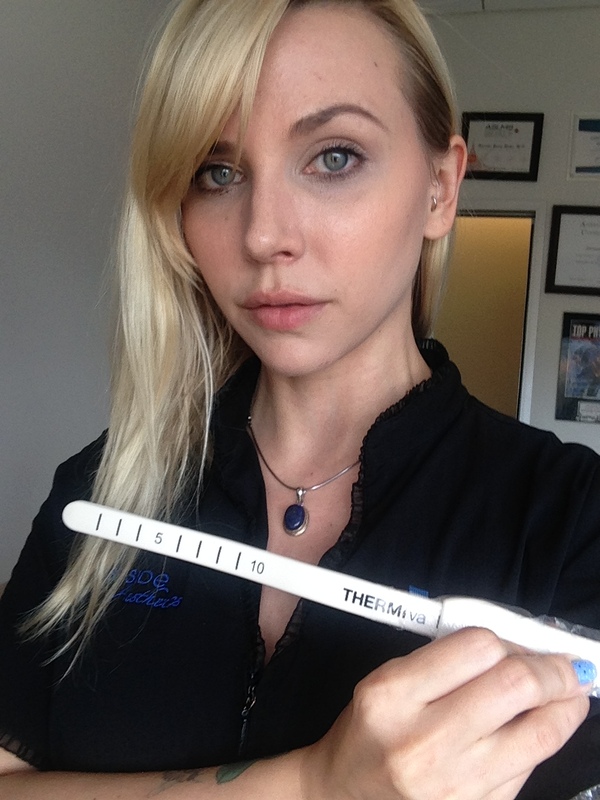 “It really is the fountain of youth for the eyes,” Dr. Rivkin said. “Good Morning America” followed four women – Taryn Piana, Iya Ritchie, Esther Lira and Melissa Beretich — each seeking that “fountain of youth,” who decided to try the tear trough treatment themselves. “What I’m hoping to come out with is to be able to go back to what I was doing four to five years ago and not wear makeup,” Beretich, 40, said prior to her procedure with New York City-based plastic surgeon, Dr. Steven Pearlman. Ten minutes later, Beretich said she “absolutely” saw a difference in her eyes and felt no pain at all. “What this treatment is doing is camouflaging the bags,” Pearlman said of the $600 to $1,000 treatment. Esther Lira, one of Rivkin’s patients who tried the treatment, said she was never able to cover her bags with makeup that looked natural. Iya Ritchie, 40, and Taryn Piana, 27, both of whom worked with Rivkin, were also pleased with the results of their trough treatment. Surgeons say the side effects of the treatment like puffy eyes and possible bruising will fade away within one week. New ten-minute procedure promises to erase under-eye bags for up to FOUR YEARS – but would you risk blindness to remove those dark circles? Promising to soften dark circles in just ten minutes, cosmetic surgeons are injecting filler into the eye bags for the new treatment that lasts two to four years. The dermatologist-offered procedure called tear-trough fillers, where hyaluronic acid such as Restylane or Juvéderm is injected to make the eyes appear better rested, costs from $600 to $1,000. However injecting the eye area is not without risks. Surgeons say the side effects of tear-trough treatment range from puffy eyes to possible bruising, which usually subsides within one week. But if the filler blocks a retinal artery, it can cause blindness. Four women who tried the treatment seemed genuinely surprised at the results. Melissa Beretich told Good Morning America: ‘What I’m hoping to come out with is to be able to go back to what I was doing four to five years ago, and not wear makeup. After her ten-minute procedure with New York City-based plastic surgeon, Dr Steven Pearlman, Ms Beretich said she ‘absolutely’ saw a difference in her eyes and felt no pain at all. Dr Pearlman explained: ‘What this treatment is doing is camouflaging the bags. For people who only have mild [eye] bags, it’s a way to stave off the need for surgery by filling in that hollow. Meanwhile Esther Lira, one of Dr Rivkin’s patients who tried the treatment, said trying to cover her bags with makeup that looked always unnatural. A newreport coming from Britain claims that women who regularly get Botox may becoming immune to the injections. The report was based on findings by German researchers, published in the Journal of Neural Transmission, which found that one in 200 Botox users developed antibodies, making the treatment less effective over time. Other scientists, writing in the British Medical Journal’s online forum Open, revealed that repeated injections “can trigger an immune response… which might lead to non-responsiveness to treatment”. Heavy bags under the eyes are an issue many women face, but there is a treatment that promises to eliminate the problem in just 10 minutes. By injecting filler into the eye bags, cosmetic surgeons say they are able to quickly fix that troublesome area under the eyes — known as a tear trough — with an in-office procedure that does not require anesthesia. ABC’s Good Morning America followed four women — Taryn Piana, Iya Ritchie, Esther Lira and Melissa Beretich — each seeking that “fountain of youth,” who decided to try the tear trough treatment themselves. Ritchie, 40, and Piana, 27, both of whom worked with Rivkin, were also pleased with the results of their trough treatment. “It’s awesome,” Piana said. Surgeons say the side effects of the treatment — like puffy eyes and possible bruising — will fade away within one week. There’s an arsenal of new non-surgical fixes, procedures and treatments that can help someone regain some lost contours and refine skin texture, with minimal downtime and less expense than traditional plastic surgery. Dr. Alexander Rivkin is a Yale-trained cosmetic surgeon based in Los Angeles. His practice is focused exclusively on non surgical aesthetic treatments and he regularly trains other doctors on injectables and other skin rejuvenating methods. Dr. Rivkin is also Monsters and Critics go-to expert for all questions pertaining to facial plastic surgery and has commented on major news stories involving celebrity face-work as well as sharing his expert opinion on various procedures. At his offices inside Westside Aesthetics, Dr. Rivkin and his staff employ a variety of the latest nonsurgical cosmetic procedures. Monsters and Critics asked Dr. Rivkin about some of the latest procedures available. Monsters and Critics’ spoke to Dr. Alexander Rivkin today about the mother injecting her 8 year-old daughter with Botox to make her competitive in the pageant world. The mother, Kerry Campbell of San Francisco, CA., is now being investigated by the State of California. Plastic Surgeon Dr. Alexander Rivkin slams what the mother is doing to her daughter. “The most disturbing part of the story is when she says that all the other pageant mothers do it!” says Dr. Rivkin. According to California board certified plastic surgeon Dr. Alexander Rivkin, something may be different with Bristol Palin’s face. Do you like the shape of your nose? Or do you think that it’s too flat, too round or too wide? Feng shui experts claim to predict fortunes based on a person’s nose shape. Some believe that nose shapes are linked to people’s characters. As the nose is the central focus of a person’s face, many people want their noses to be more attractive. People can choose to opt out of going under the knife by exploring non-surgical procedures. Shannon Tweed is the longtime partner of Kiss star Gene Simmons, and she talked to “Extra” about suffering from hyperhidrosis, and what she did to get help for her condition. When we first covered the topic of ethnic rhinoplasty, the tale of Los Angeles high school senior and Persian princess Dornaz Maraghehchi, who received a nose job as a gift for the Persian New Year, stirred much controversy. 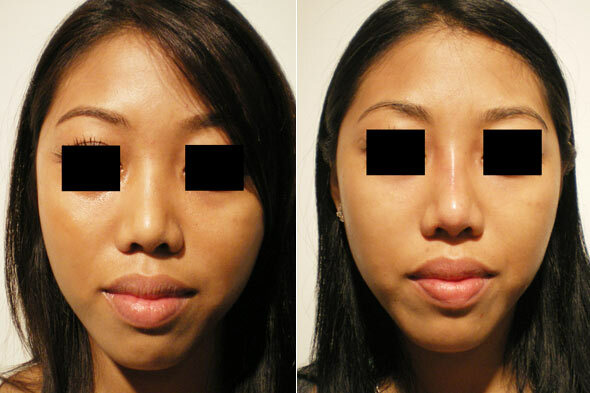 Now an increase in the number of Asian patients seeking nose reshaping is bringing the hot topic back into the spotlight. This Sunday on E! the new reality series “Bridalplasty” will take some soon-to-be-married and already married (but never had a real wedding) posse of ladies and offer them, by way of challenges, a step-ladder of minor invasive to full-on surgery fixes for the flab and folds that bedevil them. This may have shocked ten years ago, but in this day of 18 year-olds getting preventive Botox to freeze their faces to prevent any lining, and men filling and tightening their faces with Juvaderm and thermage treatments, the good, bad and ugly of plastic surgery is all the rage in the Western world. Faux Finishing: Can you look like you’ve had a facelift without going under the knife? Your cheeks and lower jaw are sagging like a turkey’s wattle, but a surgical jowl lift — with its associated pain and swelling — is not an attractive option, either. During a non-surgical jowl lift (about $800), a Radiesse (calcium hydroxylapatite) filler is injected into the space in front of the jowl, restoring the jaw’s youthful contour, explains Dr. Alexander Rivkin, founder of Westside Aesthetics, a non-surgical cosmetic practice located in Los Angeles. The nose job is still one of the most popular of all cosmetic surgeries. According to the American Society for Aesthetic Plastic Surgery (ASAPS) 152,434 rhinoplasty procedures were performed in 2008, and was the most popular cosmetic procedure for teens in 2009. Rhinoplasty has changed over the years however as many ethnic patients pursue this surgery looking for a different outcome than traditional nose jobs, and new methods of non-surgical rhinoplasty become available. Dr. Alexander Rivkin appears on KNBC’s 5PM News in a segment showcasing his treatment of TMJ with Botox!